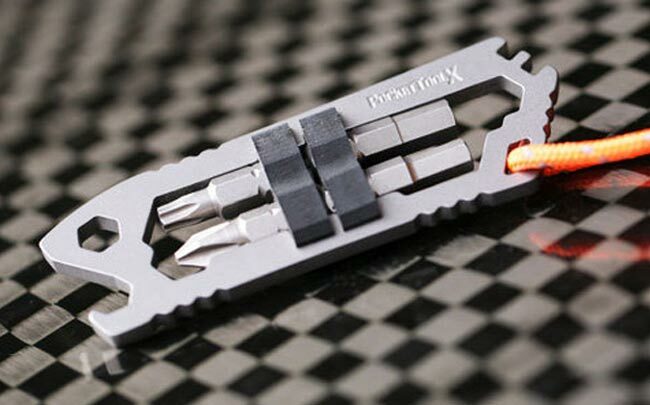 The Mako Bike Tool is constructed from 6AL-4V (Grade 5) aerospace titanium and has been design to be a cyclists perfect multitool companion, combining 5 metric box wrench sizes, 2 spoke wrench sizes, bottle opener and multiple screwdrivers. Weighing in at just 19g the Mako muktitool can be customised for your personal bike needs using the neoprene inserts which currently holds four 1/4″ driver bits of your choice. Which will soon be expandable up to 8 bits, with an upcoming upgrade kit, that will be available shortly. The Mako Bike Tool won ‘Best in Show’ winner at this year’s Outdoor Retailer show and is available to purchase for $69 with free worldwide shipping.